Villa Rosa Designs Heirloom Pattern Card. 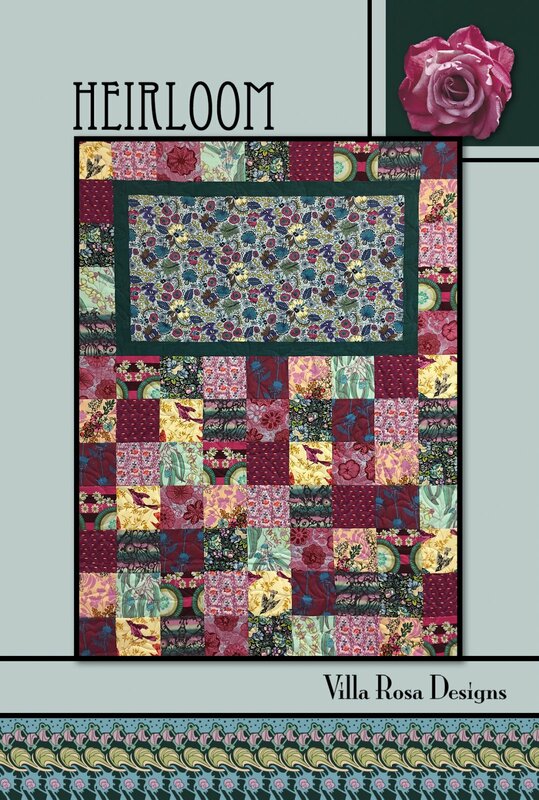 A quilt pattern with a framed focal fabric and 5 inch charm squares, or cut 5 inch squares from your stash fabric. Finished size is approximately 41 x 54 inch. Instructions and diagrams on a 4 x 6 inch full-color laminated card.